When several platforms (among the port’s 300 moorings) are combined, over 1 MWh of stored energy could be offered to the City of New Bedford during a power outage or natural disaster. In partnering with a local IoT accelerator, ImpactLABS, PowerDocks has instrumented its Blue Isles™ Microgrid Mooring Platform with a Portable Edge Computing Unit (PECU) from V5 Systems (Intel-powered Dell gateways) and a 360Fly camera. 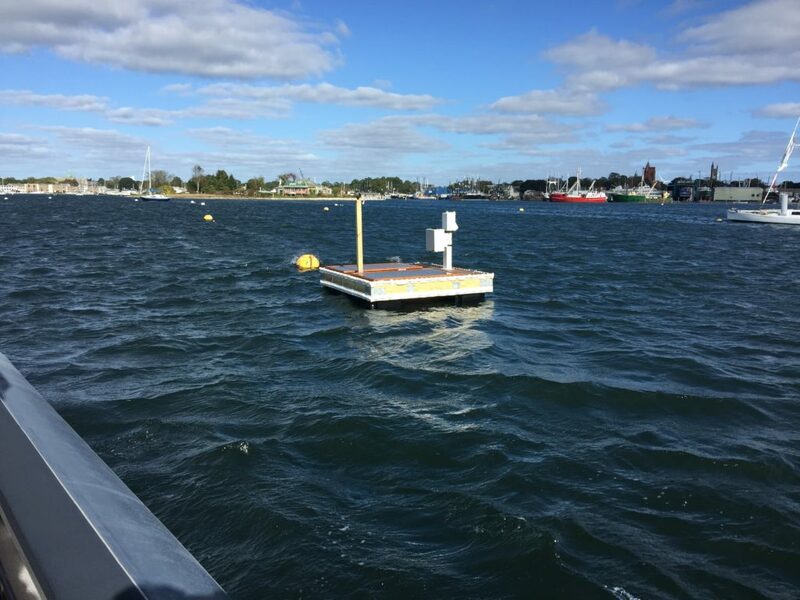 PowerDocks will also be adding Analog Devices Inc.’s nano-climate monitoring stations and In-Situ water quality sensors to their platform in the near future. Collectively, they will demonstrate versatile capabilities for the HDC. All of these will be integrated on a PTC ThingWORX IoT service creation and application development environment. PowerDocks’ Managing Principal, Anthony Baro, stated, “ImpactLABS gives Blue Isles™ Mooring the ability to integrate Internet of Things (IoT) systems for real-time remote monitoring of water quality sensors and cameras within a single platform”. He continued, “Together, we demonstrated the ability to facilitate the extended stay of boaters visiting the Port of New Bedford with a unique way to provide them in-water electrical power and access to WiFi. Boaters can leave their vessels charging while exploring the revitalized downtown area of New Bedford and discovering what the city has to offer”. Learn more about Power Docks on their website.